Currier & Ives. 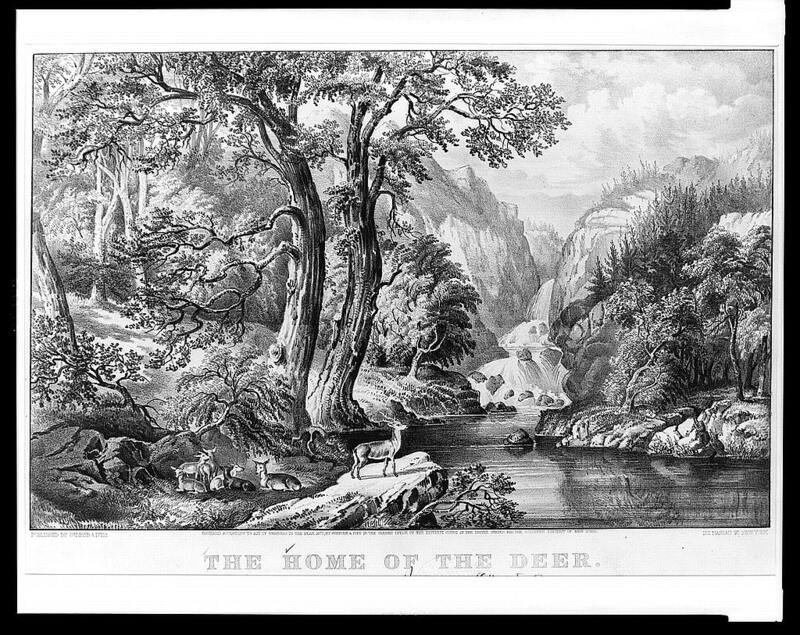 “The home of the deer.” c1870. Summary: Deer on the edge of a stream with trees and waterfall in the background.